Review published in IJPE, Vol. 4, No. 2, April 2008. p. 110.
in the area brings out this brilliant book on Fault Trees. This book quite crisply broaches the subject of Fault Trees and provides all the information that is needed by an analyst to use this methodology for the reliability and safety analysis of engineering systems. 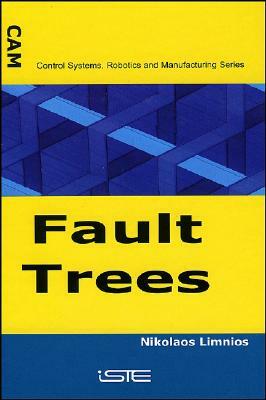 Though there are several books available on reliability and risk assessment which also discuss the subject of fault trees in quite a detail including the reviewer's own book quoted by the author as [MIS92] in this book, which has a chapter on Fault tree analysis of 166 pages but the book by Professor Limnios is the most comprehensive and an updated and state-of-art account on Fault Trees. It contains most recent developments that are ever-evolving in this methodology. Some of the information such as Appendix B on European Benchmark Fault Trees provided in this book can be useful to an analyst who intends to develop practical software for FTA. A chapter on noncoherent, delay and Multi-state Fault trees adds to the value of this book. Also a chapter on BDD has further added the usefulness of this book. Fault trees are also used and risk assessment and find prominent place in the Monte Carlo Simulation approach to risk assessment particularly in context of nuclear power plants. Although the author discusses Monte Carlo method in this book but if a case study from risk assessment area would have added further utility of this book. The mention of the possibilistic approach to FTA adds the utility of the book but it would have been better if a chapter on this new development was devoted to it. Probably the author wanted the book confined to probabilistic approach only. Considering all the aspects, this reviewer finds the coverage of fault trees in this book by Professor Limnios most comprehensive and would like to recommend this very useful book to all researchers, teachers and students and to all organizations who intend to have the most up-to-date and useful information on the subject. Review published in the International Journal of Performability Engineering, Vol. 4, No. 2, April 2008, p.110.